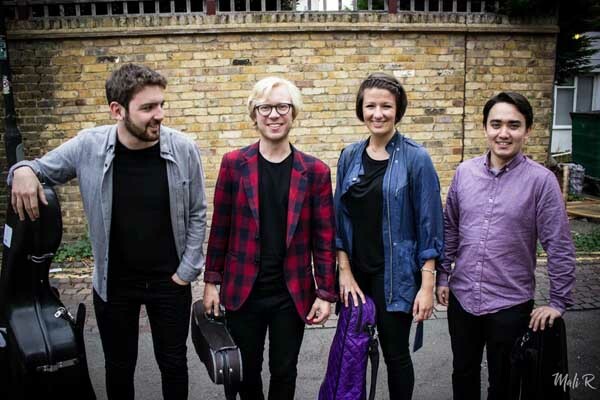 THE Marmen Quartet, who formed at the Royal College of Music in 2013, make their Concerts in the West debut from 15th to 17th March at Lower Pulworthy near Hatherleigh, Bridport and Ilminster arts centres, and a new venue, the Creative Innovation Centre at Taunton . The quartet, Johannes Marmen, violin, Ricky Gore, violin, Bryony Gibson-Cornish, viola and Steffan Morris, cello, have won a number of awards, including the Royal Philharmonic Society Albert and Eugene Frost Prize, and as winners of Music in the Round’s Bridge scheme, they are receiving three years of mentoring, financial support, and guidance in every aspect of life as a string quartet, including performance opportunities. The concerts are at Lower Pulworthy on Thursday 15th March, Bridport Arts Centre (coffee concert, Friday 16th), Ilminster Arts Centre (evening, Friday 16th) and CIC Taunton (Saturday 17th). The programme is Mendelssohn String Quartet No 6 in F minor, Op 80; Haydn String Quartet in F sharp minor, Op 50, No 4; Ravel String Quartet in F; Mozart String Quartet No 14 in G major, K 387.